Running a business? Performing meetings? Here are top things you should have prepared and ready for each meeting in order to be successful. Running a business can be incredibly time-consuming. There’s plenty to think about, plenty to organise and one of those timely activities is meetings. Meetings help everyone in the organisation to better understand what is required within their role to be an optimal team member. Meetings also help everyone involved to understand how to get things done. But, how do you run a successful business meeting? 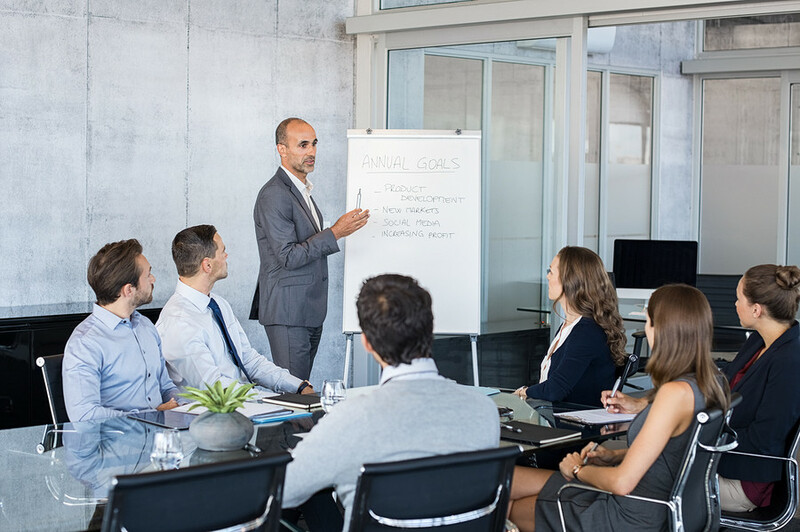 Whether you’re running a meeting for staff members, stockholders or a general committee meeting, there are a number of things that can help you to prepare for the meeting and make it a great success. Presentations in the form of slideshows and powerpoints may seem like a dreadful idea. You may even be thinking about a room full of people falling asleep. But, the honest truth is, powerpoint presentations can actually help people within your meeting to stay focused and show a real interest in what you have to say. But, they have to be done right. Your presentation needs to be able to help you to address your meeting by backing up the things you say and help you to remember what it is you are wanting to say! You do not want to stand in front of a display screen reading your presentation word for word. Well-designed presentations can really make the meeting more interesting and there are many corporate powerpoint designers who can help you make the perfect presentation. The right equipment will help you to make the meeting run smoothly. The last thing you need is meeting attendees scrambling to find pens, a seat or paper to jot notes down. Although many people in attendance will bring their own writing materials, it certainly doesn’t help to provide some additional stationary. Other pieces of office equipment include projectors, tables, chairs and perhaps some hot coffee to keep people in the room happy. Depending on the type of meeting and what is on the agenda, your business may have specific types of office equipment to help make the meeting even better. Meetings always run smoother when there’s an agenda. To better support your meetings, minutes help your company or business to better address issues, correctly state what needs to be completed by the next meeting and who agrees to what motion. Your minutes may be rather basic for a small meeting amongst workers or it could be highly detailed for corporate or annual board meetings. Whether you have a person from your admin team create a set of professional minutes or whether you hire an independent minute taker to come into the workplace to note down your minutes for you, there is no doubt that minutes for your meeting will help the overall running of your agenda and business. Depending on your business, what is to be discussed and your company culture, an appropriate location for your business should be on the cards. A casual meeting to discuss the next project for the week may be able to be held over lunch at the local pub (if your business culture calls for it). However, you may have more important things to discuss at your business meeting with important board members and stockholders. In this case, a pub lunch is certainly not ideal. A dedicated office that is professional in tone and nature would be much more appropriate. A suitable location for your meeting can really help to set the tone for your meeting and how it will be run. A professional location may also help people in attendance to be more involved in the discussion, be more focused and therefore interested in what is discussed. Have a think about your own company culture and how your meeting locations may affect your future meetings. Having an agenda for your meeting is one of the most important aspects of running a meeting. When there is no agenda, chances are the person leading the meeting will be left to make the meeting up as they go along. This can lead to missing important information, forgetting certain questions and tasks and also making everyone bored and confused throughout the meeting. An interesting meeting is one that is well-prepared and one way to do this is to have an agenda. With meetings that are tracked with professional minutes, an agenda will include accepting the minutes from the previous meeting and a thorough understanding of what is to be covered throughout the meeting. No matter what business or industry you’re in, running a meeting that is well structured and interesting will ensure it is a great success. By including some of these important and rather simple techniques, you can ensure your staff and meeting attendees will be more than happy and the business will be run more efficiently. 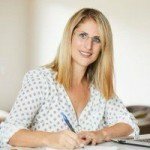 I’m Sarah and I own and run my own business, Meetings Into Minutes. I’m a professional minute-taker and mum. I love my job and want to be able to share some of my own knowledge with other working mums.